Asia Bibi suffered beatings, wrongful imprisonment and the threat of hanging – yet where was her support among the ‘sisters’ of the feminist movement? Or the UN? 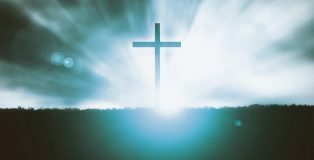 Jesus is alive today: no blind faith required! BILLY GRAHAM was a country boy raised on a dairy farm in Charlotte, turned world evangelist. He prayed with every US president from Harry S Truman to Barack Obama. Back then, “Billy Frank” preferred baseball to religion. “I detested going to church,” he recalled. I apologise if some readers feel upset reading these abortion articles and wish to affirm that Christians do not condemn women who have had abortions. Rather, the Church can provide healing and restoration. 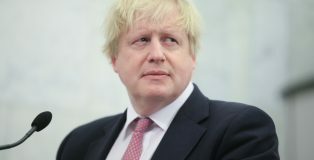 Is Boris backing a ‘Pink’ Bible? By Andrew Halloway and Melanie Symonds A FOREIGN OFFICE THINK TANK WANTS THE BIBLE TO BE ‘REINTERPRETED’ TO SUIT THE LGBTI LOBBY. Is this picture an encouragement to pray? 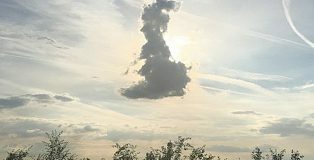 The Day of Prayer announced for 8 September is not really a National Day of Prayer for the simple reason that the government and monarch have not endorsed it. Both Buckingham Palace and Lambeth Palace have turned down requests for a national day of prayer for several decades. 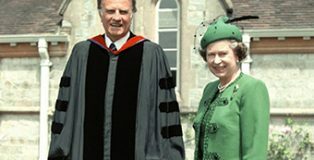 The Queen has been repeatedly asked to call for a national day of prayer like her father, King George VI did in the dark days of World War II. Several strong prophecies have been circulated this summer, principally that of David Noakes given on 17 June at a meeting in East Grinstead. 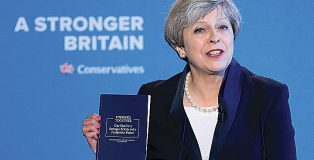 DEAR PRIME MINISTER… WHERE’S THE STRONG AND STABLE SUPPORT FOR CHRISTIANS? It is a year since Theresa May became Prime Minister after six years as Home Secretary. In that year it does not seem as if anything has improved for Christians who stick their heads above the parapet by graciously refusing to bake a cake, offering to pray for a colleague or quoting the Bible in public (see the report on street preacher Mike Overd in HEART April/May 2017 called ‘Battle for the Bible’).